A FedEx driver is being hailed as a hero after reportedly saving a suicidal woman from her death by grabbing her hand as she threw herself off a bridge. 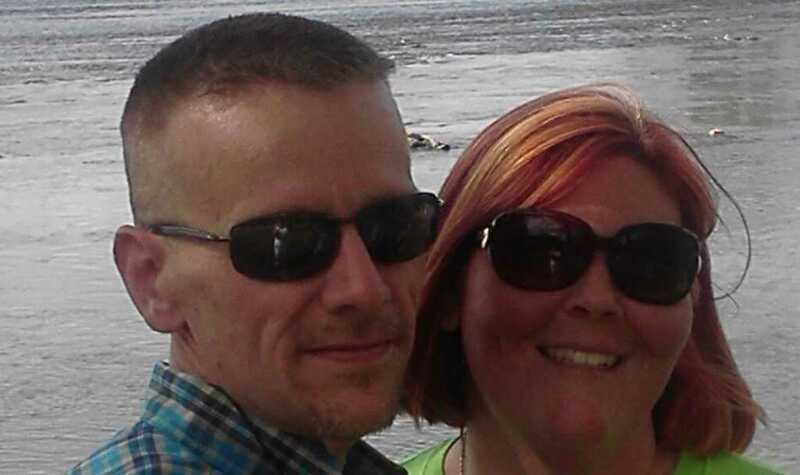 Garrett Nicholson, 42, said he first spotted the woman as he drove across a bridge in Rogersville, Tennessee, after seeing an abandoned car in the middle of the road September 25. The woman, who has remained nameless, was sitting on the edge of the bridge, peering down into Caney Creek’s waters, some 40 feet below. As Nicholson continued to attempt to “talk her down” from the ledge, the woman “lurched forward (to jump).” At that point, instinct took over, and Nicholson leapt to save her life. I “was able to grab her by the arm,” the man noted, adding that he held her there until police arrived. “I was scared that I wouldn’t be able to hold her,” Nicholson added, before explaining that he was praying to the Lord for strength to keep the woman aloft. “Fortunately, where I work at FedEx, I load boxes all day, and you kind of get used to holding on to heavy things. I was just really scared that she was going to fall, and it was kind of one of those things that you just keep praying to God for strength to keep holding her until someone arrived to help me,” he said. But in a bizarre twist to the story, just days after engaging in such heroics, Nicholson’s house was burned down in a freak fire. Fortunately, the delivery driver and his family were out of the house when the inferno occurred, but they lost everything. To make matters worse, the family were in the process of moving house when the blaze broke out. The fire department told the Nicholson’s that they believe the fire ignited when an outlet that was feeding the air conditioning unit with electricity short-circuited. The family lost absolutely everything. “What wasn’t burnt or melted from the heat is smoke damaged,” Patrice explained, noting that there was “nothing salvageable” among their charred possessions. As the family remains holed up in a motel with the assistance of the American Red Cross, Patrice and Garrett reflected on what could have been. What if the family were all asleep at the time? What if their 6-year-old daughter was in the house at the time? These were the types of questions whirring around the family’s heads in the nights following the fire. But despite the devastation, there were little glimpses of hope and blessing. Indeed, Patrice noted that the family’s new puppy has been suffering from “separation anxiety.” So, she would regularly have left their other dog at the house to keep it company. But on the day of the fire, Patrice took both canines with her. Patrice noted that anyone who has furniture or other items they’d like to donate to them at this difficult time can call her at (423) 358-8396. Please pray for the family as they battle to get their lives back on track!